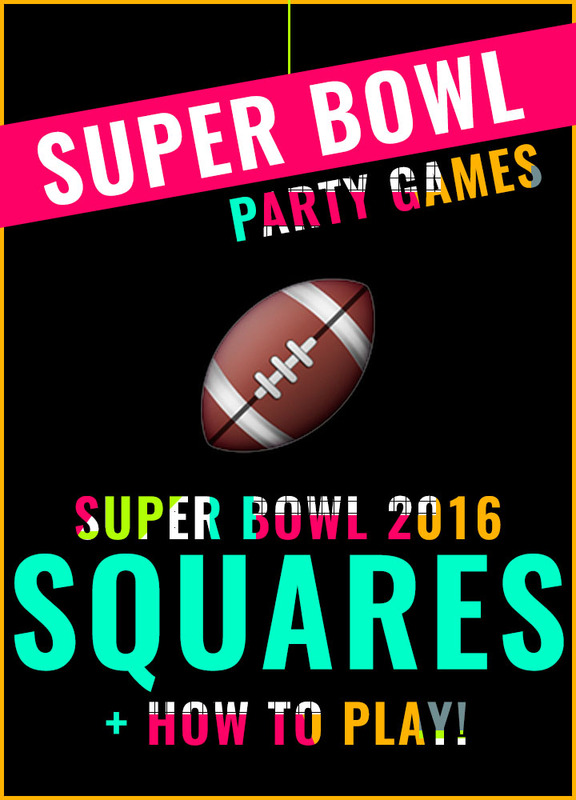 Every year I do Super Bowl Week here on VTIM and the time has finally come for Super Bowl 2016 Week! I had planned on starting Super Bowl Week on Monday, but the snow in Denver had other plans for me. So without further adieu, let's get started with the one game you MUST HAVE at your Super Bowl party... Super Bowl Squares 2016 for Super Bowl 50 || Denver Broncos vs. Carolina Panthers. 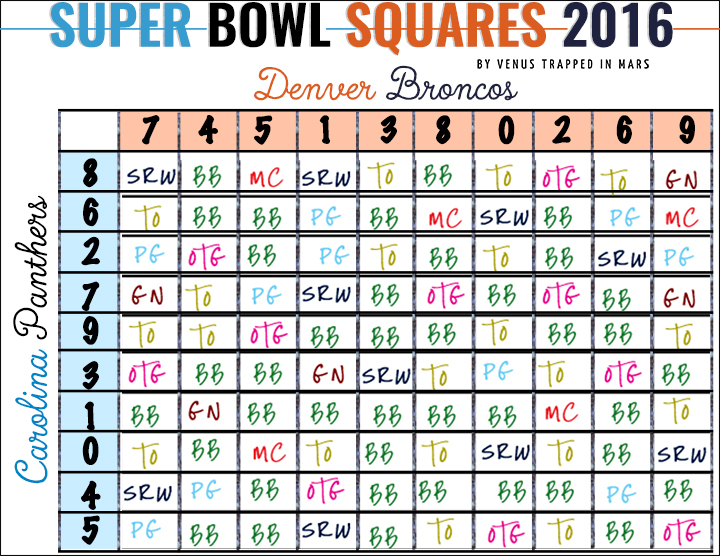 This post includes the free blank printable version of Super Bowl Squares 2016 as well as instructions on how to play Super Bowl Squares. 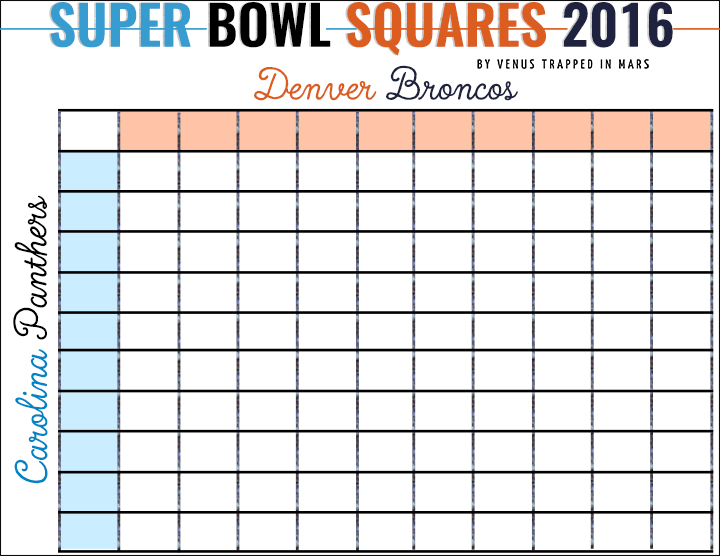 Not a big fan of Super Bowl Squares? Have no fear, I'll be back later this week with a Super Bowl 2016 Drinking Game! Step 5 || Find your winners. 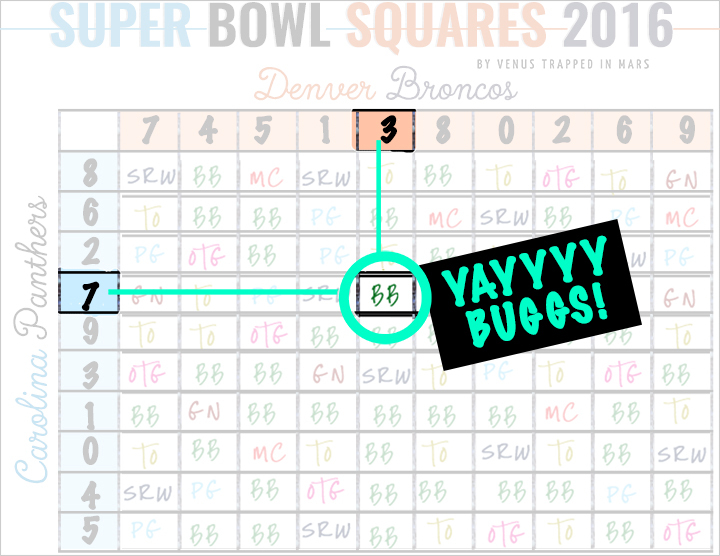 At the end of each quarter, half and finish of the game, match the last digit of the Broncos score, and the last digit of the Panthers score to find your winner. The first quarter ends, and the score is Carolina 7 - Denver 3. 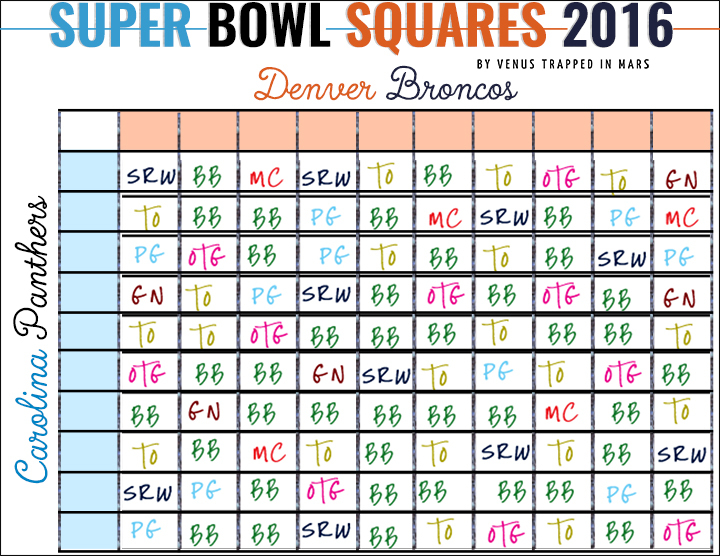 Find 7 on Carolina's side, and 3 on Denver's side, then you find your winner! What a fun game to play during the Super bowl. Very nice tutorial. I will be honest and admit, I have never played. We do this every year for the Super Bowl. I've never won, but it's still a lot of fun! this tutorial is spot on! i played for my first time yesterday!